Are You Making Even ONE of the Top 7 Mistakes In Your Residential Cleaning Business? Take Your Business From Struggling… to Successful in 30 Days! Do you want to avoid the struggles so many have in their residential cleaning business? Are you wondering if you’ll be able to reach the level of success you desire? Do you see yourself starting your house cleaning business doing the cleaning yourself and eventually transition into your office? Maybe you see yourself starting your cleaning business with workers doing the cleaning for you. Have you already started your business? Are you wondering why you can’t grow it or worse – don’t know how to go about it? Have you hit a wall and wonder how to get around or through it? Residential cleaning has a low entry with many owners who started with under $200. Most of these business owners had good intentions and think if they are the best cleaner, provide loads of quality, have passion, and persevere they will succeed. Yes – they may succeed, but they will never earn more than the number of houses they can clean each month. Many new residential cleaning business owners start the business with workers doing the cleaning and then run into management issues. If you don’t know how to do professional cleaning or you don’t know how to manage people, then you’re going to have problems – trust me! How do you scale a business when you have these types of issues? And this is when they wear themselves out and give up. It’s easy to give up on your business when you didn’t invest a lot of money in the first place. There’s not much to lose when you’ve been working to exchange time for money. It’s like quitting your job – only this time you’re quitting your clients – each and every one who may have become your new boss if you didn’t structure your business correctly when you started. Consider the business owner who started with a moderate investment – like the franchises. You can get into a maid franchise starting around $45,000. Wouldn’t you think twice about giving up on your business if you invested that much money? Start and Grow Your Business for Long-Term Success! You may not intend to hire employees the day you open the doors to your new business, but you need to have the processes in place when you do. It’s hard work and difficult to transition from one business model to a new one, especially when you have customers to deal with. What will they think when you suddenly tell them an employee will be replacing you?! There is a way to avoid this situation and I’ll make sure you do. Cleaning – One of the reasons you’ll be stuck cleaning every day is that you may think cleaning is more important than learning. You need to learn the business principles that will help you succeed. You don’t have to do everything yourself, you need to learn how to delegate. Employee Issues – You will experience high employee turnover if you don’t find and train good people who have the same values as you. These are people who will be happy and excited to work with you – not against you. To do this, you must create the environment that will make them want to stay and grow with you. Pricing – You will need to make sure you don’t use a business model that has you competing for low rates. This is a losing strategy that will put you out-of-business faster than anything else. If you can’t charge enough to run your business and make a profit, then you can’t grow as a business. Concentrating on Your Competition – If you don’t properly research your competition and plan your business to meet the need in your city, then you’ll always be chasing them instead of doing what’s right for your business. You need to concentrate on your business and how you can meet the needs of the community. Reaching Real Success – A successful business is planned and it involves systems for you and your employees to follow. Without systems you’re constantly putting out fires! Personal Growth – Your success relies on your ability to grow as a person because you are going to introduced to situations you may never had to deal with before. This involves going around or through every obstacle that comes you way. Every obstacle is your barrier to success and that’s how you need to view it. If you can’t grow personally by learning to delegate, try new marketing, raise your prices when needed, hire employees to replace some or most of your daily tasks (including cleaning), or won’t invest in your business, then you are destined to fail. Every business owner grows personally by successfully running a business on their terms – not their employees and not their customers. Strategic and Tactical Planning – It’s really not how well you clean – it’s about how good you are at running your business. It’s really that simple and it involves ALL of the above. When I originally created my brand in 2005, it was a book that consisted of the processes I used to earn over 100k the first year I implemented the system. It quickly grew in the 2nd year to include forms, surveys, and more – everything I used in my business which I turned into the Business-in-a-Box. There wasn’t a system to invest in when I started my house cleaning business – I had to create it myself. I did that with the knowledge I had gained building and running businesses in my career. Now there is a lot of advice online on how to start a house cleaning business and I’m finding a high number of business owners who didn’t anticipate the issues they currently have. We’ll accomplish this with weekly meetings to set goals and review your progress. This is 4 weeks of coaching from your signup date. This is a customized coaching program for YOU and what YOU need for the business you plan. I will assess and make assignments for you based on your goals. I’m looking for specific types of clients who are ready to take advantage of this opportunity – people who are coachable! This means you receive all product updates at no cost. Click on each product to read the sales page for product details. Continual Growth and Success! I am in my second year since buying your guides in 2015 to building a cleaning business and I have seen continual growth and success. I have a much better quality of life now that I work for myself and you are the reason I decided to try it. Thank you so much, sincerely. Anne-Marie has helped me with all my tough questions & been there for me whenever I got frustrated. She spent alot of time helping me to be more organized & dealing with problem clients & situations I didn’t have answers for. Thanks so much! If anyone needs help with their house cleaning business you are the one they should go to for advice! Amazing package to purchase and be Successful. I purchased the Business Box and everything else! I believe this has been a huge help to my Success!!! I love the weekly Newsletter. Within two weeks of my first client I was completely full, then hired my first employee after a month. My employees range from 4-6. I can honestly say that reading the House Cleaning Pro it help me figure out the best steps. I’m not one to take high risk and it put everything into order so it wasn’t a difficult change. There are things I need to improve on but my customers love my work & support me growing! Thank you for for being so detailed in the book & realistic. Ann Marie provided me with a wealth of information and asked questions that has me questioning some of my set up and procedures. Her questions and comments about what I currently have in place have me now wanting to streamline what I am doing, change forms and I really didn’t realize I am working for the clients instead of finding and keeping clients that I desire to clean homes for. I HIGHLY recommend her coaching, even if it is to get a fresh look on something, if you’re questioning methods or procedures. I will be reaching out to her again. Are You Ready to Start Your Residential Cleaning Business? Kiss That Fear of Getting Started Goodbye and Say Hello to Success! Making the Decision to Start a Business: We work through a checklist to determine the best way for you to start your business. 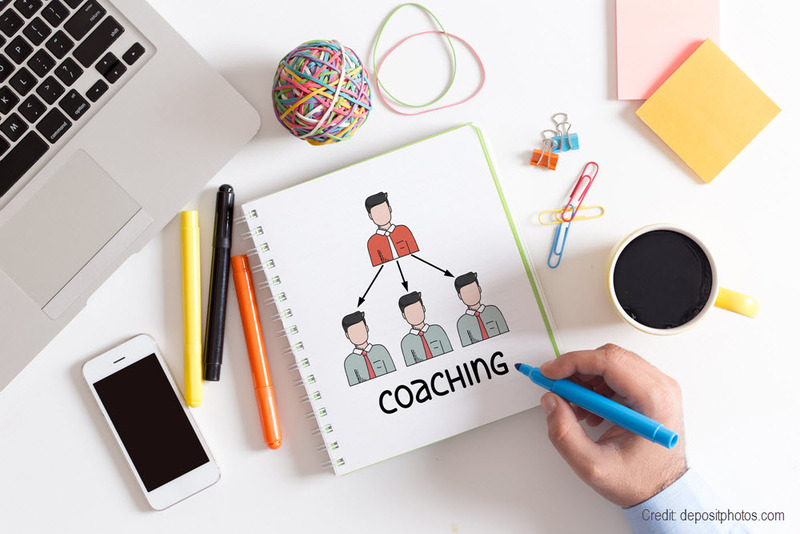 One Hour Coaching Assessment Call: We review your checklist and what it means to your ability to succeed with your own house cleaning business. Priority Access: You get started right away with priority over trial access members. 24/7 Online Access to Streaming Recordings: Use the link I provide to access your recording. Downloadable Recordings: Download them to your device and take them with you to review. Session Notes: Organized into key points to accelerate your learning. Assignments Sheet: So you know what you need to to next. If you think you can start a residential cleaning business without this step-by-step coaching – you just need a blueprint to follow – then you can get started now with my Business-in-a-Box. I’ll still be available through the private Facebook Group to answer your questions in a group setting, but you won’t get my assessment or individual help working through issues specific to your city. 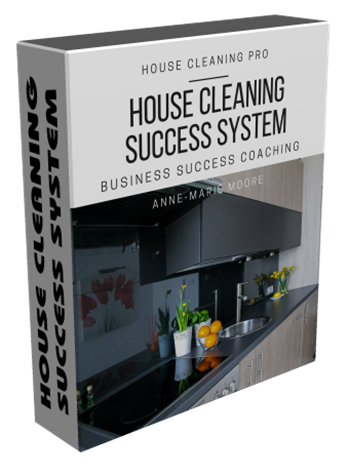 The Premium House Cleaning Success System is the BEST value because you will have coaching from someone who has already built the business you want to start. I’ll personally coach you to get started the right way. This will lay the foundation for your future success. Get started now using the $1 trial access and you have 7 days to decide if you want to continue working with me or you may cancel. INVEST NOW AND LET’S GET YOUR COACHING and TRAINING STARTED when you choose the Buy Now option! You have nothing to lose and everything to gain! To YOUR Success as a House Cleaning Business Owner! P.S. There are a lot of people starting their house cleaning business using the wrong information. You can avoid their mistakes by using this proven blueprint… and increase your road to success with my private coaching designed just for YOU. P.P.S. Your investment in the Premium House Cleaning Success System is a legal tax deduction.